Phoenix, Ariz.—With the passage of another budget chock full of special interest giveaways, tax cuts and expanded tax credits, Governor Doug Ducey and the Arizona Legislature continued down a dangerous path, ignoring the most pressing needs of Arizona’s public schools and our 1.1 million students. The largest chunk of new K-12 education dollars was directed to a select group of schools that are already excelling, with the majority of those schools in high-income neighborhoods in Pima and Maricopa counties. “Education advocates were united in their opposition to the Governor’s ‘results-based’ funding proposal, which picked funding winners and losers and largely left out public schools in rural Arizona,” stated Julie Bacon, president of the Arizona School Boards Association. 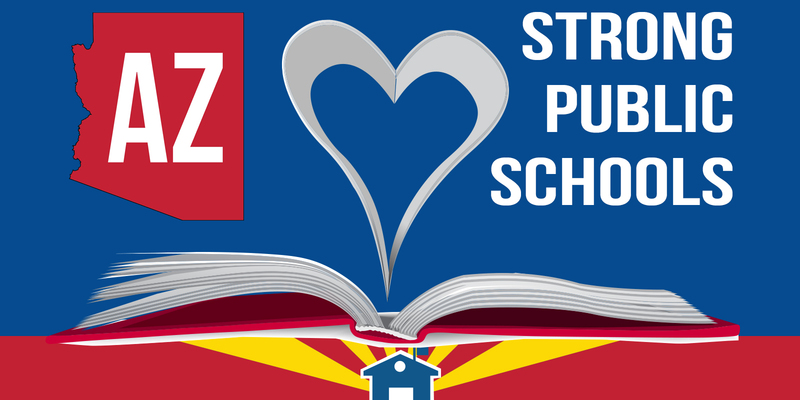 Despite the obvious failings of the recently passed budget, AZ Schools Now remains focused on ways to reinvest in Arizona’s public schools and will continue to champion policies that promote academic success for our students.